Full nutrition is provided to compensate for loss of nutrients to the scalp brought about by poor blood irrigation. This potent serum contains a key blend of Saw Palmetto (found in some tests to be an effective DHT blocker) and Keratinocyte Growth Factor (KGF), also known as FGF-7 and heparin-binding growth factor-7 (HBGF-7) and a member of the fibroblast growth factor family, completes the serum. Note: This KGF is not the rh-polypeptide-3 that is banned from the EU cosmetic List. This KGF is a synthetic version and is the sh-polypeptide -3 which is unrestricted in the E.U. HR23+ Scalp Therapy Treatment Serum is one of the most potent serums of its kind on the market. This serum is also safe to use, but should be avoided by women who are pregnant/breastfeeding, due to it containing saw palmetto. 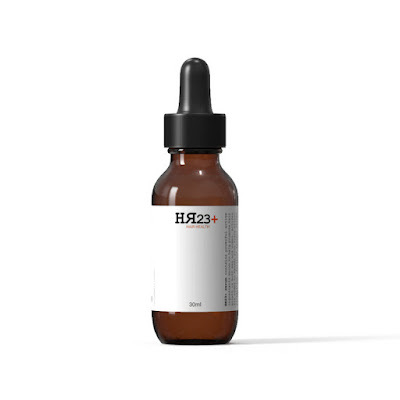 HR23+ Scalp Therapy Treatment Serum is available to purchase at the official HR23+ website. You can also purchase this serum cheaper when you buy in multi-pack deals. Overall, this is a good serum to use for men and women who suffer from early stages of hair loss and thinning hair. This serum can act at the root of the cause, paving the way for stronger, faster, hair growth.